"Arriving at the theatre I was struck by the angular beauty of the set, a diagonal fence separating the Keller's house from the others that receded down the block, the work of David M. Barber. His scenic work is becoming a bit of a signature to the productions Julianne Boyd directs. 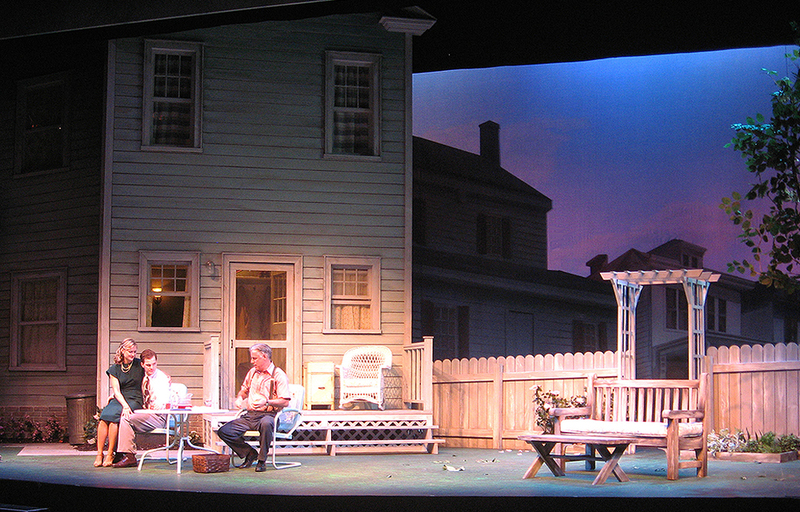 I loved the way the Keller's house loomed over the stage and spilled outside of the frame of the proscenium arch. It was as if the secrets it contained were too big to be comprehended in one glance. The encroachment of neighbors and community on the Keller's world is an integral part of Miller's play, which Barber's set and Boyd's direction capture perfectly." 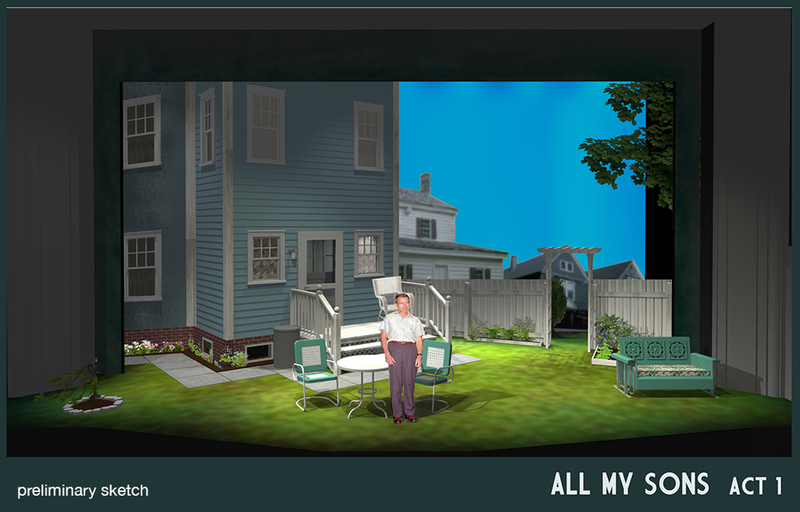 "The Barrington production is superbly designed with a set by David M. Barber."